The Mark Harper Project & The Mark Harper Acoustic Band are exciting to see and listen to. The Acoustic Band, specializing in Jazz, Latin Jazz, CuBop and other styles of music, gives you raw excellence with great musical imagery. 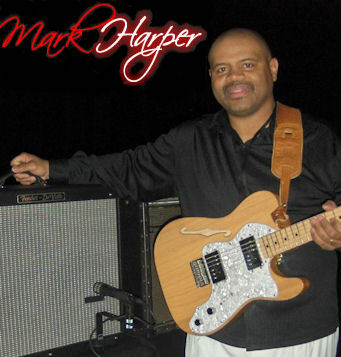 The Mark Harper Project provides that same imagery through Jazz, R&B, and wonderful vocal ballads. Mark had been a member of Smooth Jazz Bassist of the Year, Wayman Tisdale's band, having toured with him for 7 years. Mark also spent two years with Tower of Power as lead guitarist and background vocalist. Furthermore Mark, a Multi Platinum Award Winner himself, has worked and recorded with artists such as: Y&P, Glen Jones, George Duke, Jonathan Butler, Rick Braun, Dave Koz, Paul Jackson Jr, Michael Lington, Yolanda Adams, Phyllis Hyman, Gerald Albright, Kirk Whalum, Blair, Mac Band, Phil Perry, Joe McBride, Tom Braxton, Ronnie Laws, Kirk Franklin, Bebe Winans, and host of others. Mark's latest CD is now available!